Simona Maschi’s main focus is on envisioning future scenarios and experiences for people’s everyday life. In particular, she designs new concepts of services enabled by innovative technologies for both the public and the private sector. She is interested in new design solutions that support companies towards a stronger attitude to environmental and social responsibility. Her last works in collaborations with academia and industry have explored different topics, such as private and public transportation, health and wellbeing sustainable housing and smart cities. 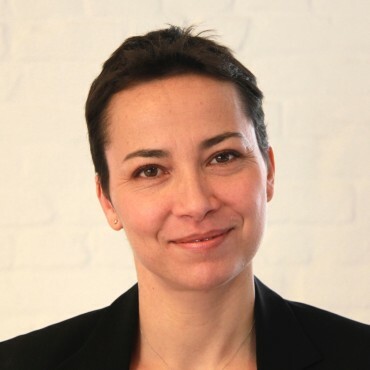 Simona is an expert in Service Design, Interaction Design, Scenario Design and Design Methods. Prior to CIID Simona was a lecturer at the Danisg Design School, at the IT University of Copenhagen, and at the Politecnico University in Milan. From 2001 to 2006 she was an Associate Professor and researcher at the Interaction Design Institute Ivrea. She has been a visiting lecturer in European and American schools, an invited lecturer and trainer at international design workshops, and is an active organiser of industry-focused workshops, seminars and training. Simona has a Ph.D in Industrial Design and Multimedia Communication from the Polytechnic University of Milan, Italy (2002). She was a visiting scholar at the Institute of Design at Illinois Institute of Technology in Chicago (2002) and has an MA in Architecture from the Polytechnic University of Milan, Italy (1996).